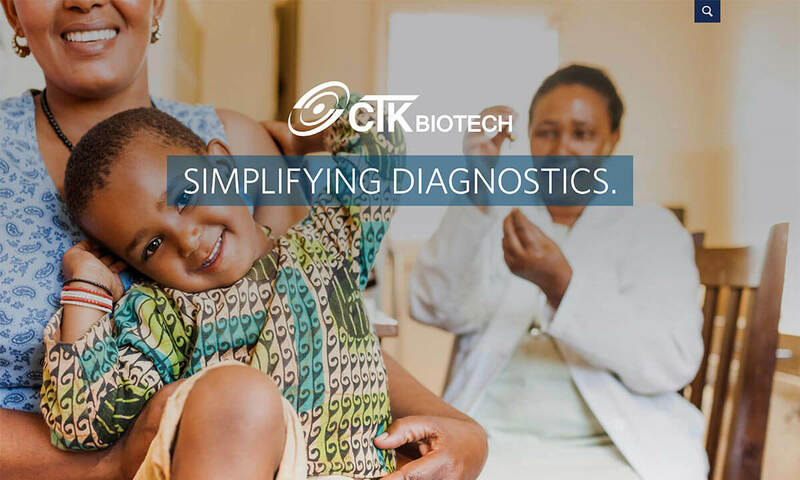 CTK Biotech manufactures diagnostic tests for various diseases. 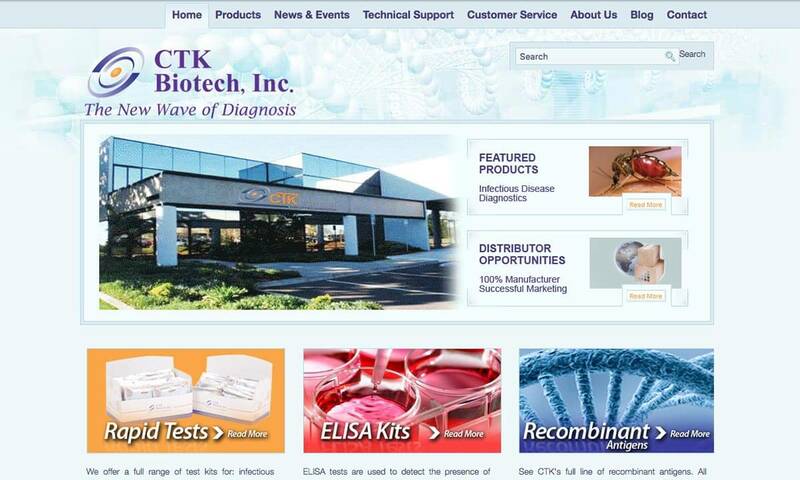 Bop Design created a website that better positions CTK as a market leader with global reach. 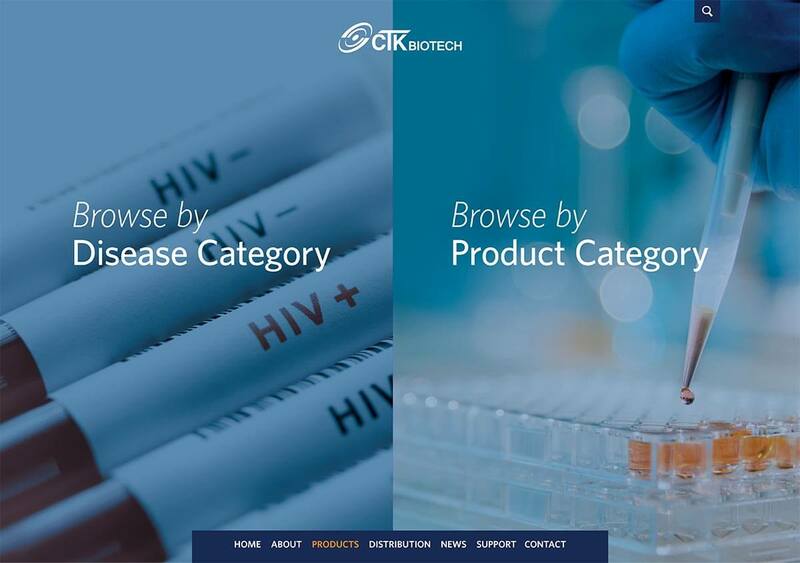 The new website is more prominent on search engines for targeted keyword phrases (HIV rapid test, malaria test, hepatitis test, etc.). 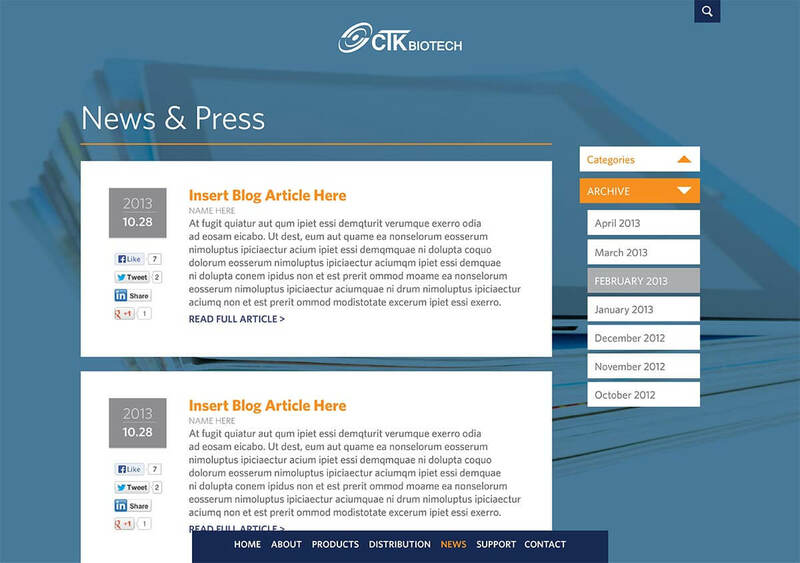 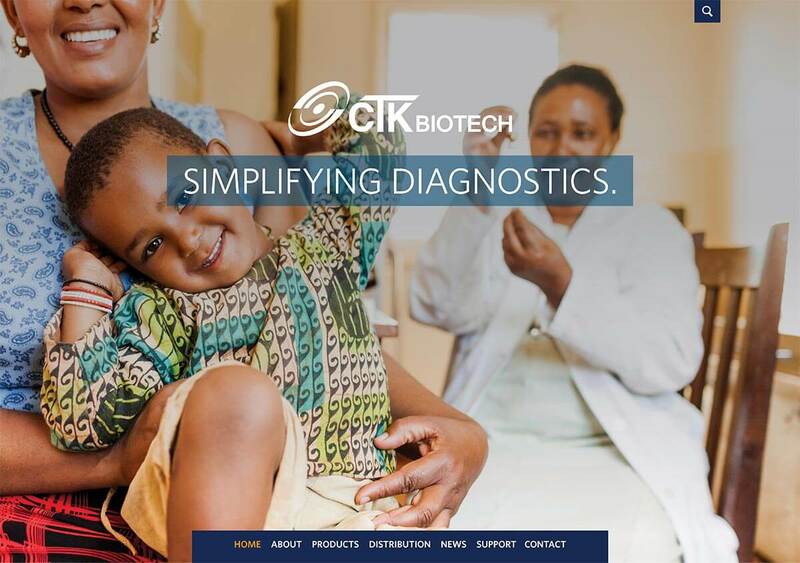 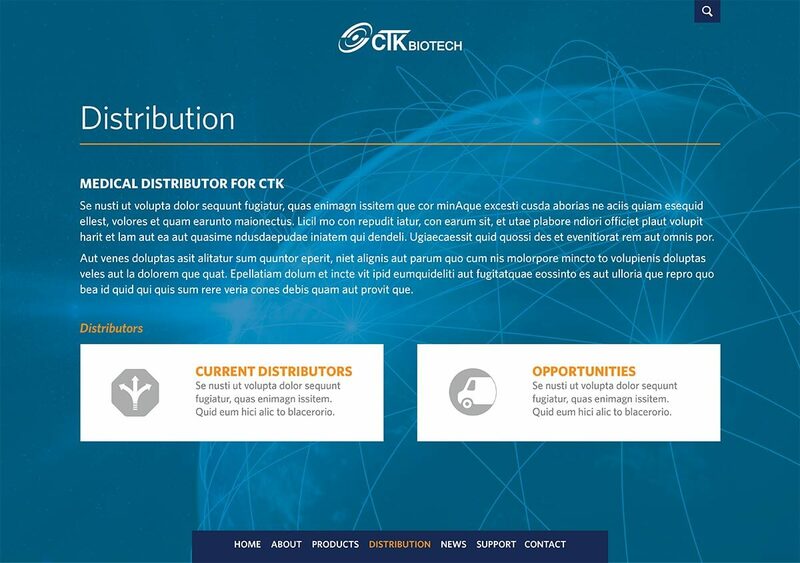 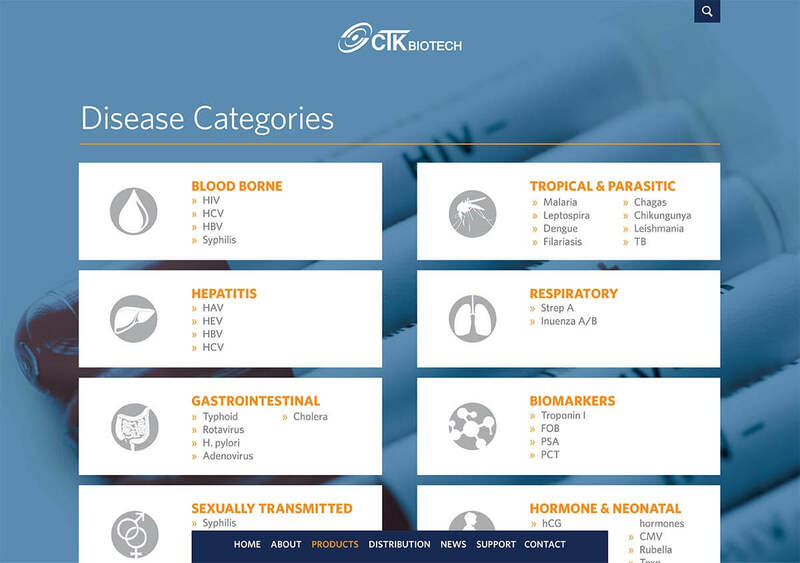 The website helps CTK Biotech grow its overall business by giving them the marketing tools to better position the brand, communicate their diagnostic offerings and increase new engagements with both international and U.S. clients.